So do you want to Update asus Zenfone 3 Ultra to Android 7.0 Nougat ? If yes then you are at right Place . Today we are here with the Guide to Install Android 7.0 Nougat in Zenfone 3 Ultra . 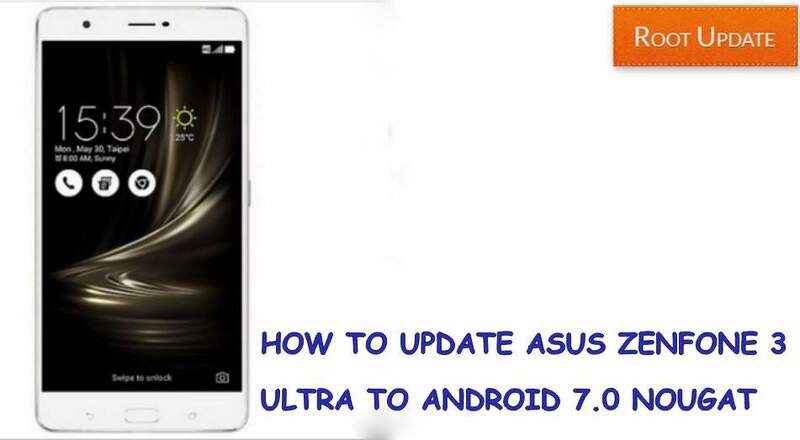 The Smartphone was launched in August 2016 and since then it was running on Android 6.0 marshmallow but now company has launched a official firmware update and We will tell you How to Update Your Asus Zenfone 3 ultra to Android 7.0 Nougat. Asus Zenfone 3 Ultra comes with a Big 6.8 ” Inch Display which makes it one of the most big smartphones from Asus, For the protection of the display there is corning gorilla glass 4 coating on the top which protects the smartphone from Scratches and Falls . Under the Hood of the smartphone there is qualcomm snapdragon 652 octa core processor coupled along with 3/4Gb of ram, for better graphics and gaming experience there is adreno 510 GPU . The smartphone still runs on Android 6.0 marshmallow and today we will show you How to Update Asus Zenfone 3 ultra to Android 7.0 Nougat. So the good thing about this guide today is that this update for the Asus Zenfone 3 ultra is Official and therefore you dont need to Worry about Warranty or anything Else, So before you start the guide there are some points and pre-requirements you have to follow . The Update is Slightly bigger in size compared to Android 6.0 Marshmallow. To boot in Recovery mode you have to press Volume Up + Power button together. So this was our guide on How to update Asus Zenfone 3 Ultra to Android 7.0 Nougat,i hope this guide helped you in Upgrading your smartphone. If you have any doubt you can comment down below in the comments section.